“As are as I understand, the tender will be announced again next month and maybe there are economic entities, possibly foreign ones, that could supply their own gas, and the enterprise could operate,” he told journalists in Odesa on the sidelines of the Ukrainian Financial Forum organized by the ICU investment group. “Our task in this matter is to build the work in a way that at the time of sale this asset was operating, alone or with the help of a supplier of natural gas for processing on tolling terms, but operating. Selling an idle enterprise, in my opinion, is a double problem,” the SPF head said, recalling the even more complex problem of toxic debts of the Odesa Port-Side Plant to the structure of Dmytro Firtash. 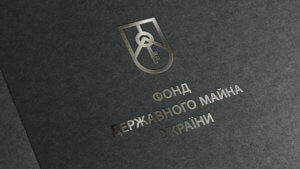 The State Property Fund of Ukraine (SPF) has announced repeated tenders to select advisors for preparing the following companies for privatization: 99.9988% stake in OJSC Oriana, 99.9952% in PJSC Sumykhimprom and 100% in National Joint Stock Company Ukragroleasing. “To privatize companies for which there no tender was held, and only one bid was submitted, we announced a new tender to select advisors. Next month there will be a repeated tender,” Head of the SPF Vitaliy Trubarov told journalists in Odesa on the sidelines of the Ukrainian Financial Forum organized by the ICU investment group. According to their terms, bids for participation in the tenders are accepted until the end of the day on October 17. The first stages of the tenders are scheduled for October 23, and the second – for October 26. “Unfortunately, during the summer period many investment advisers could not be prepared for unbiased reasons,” Trubarov said, expressing hope that the repeated tenders will be success. The State Property Fund of Ukraine (SPF) has made announcements on holding tenders to select investment advisors to prepare PJSC Azovmash, OJSC Oriana, PJSC Sumykhimprom, NJSC Ukragroleasing, Kherson combined heat and power plant (CHPP), Dniprovska CHPP, PJSC Kryvy Rih CHPP and Severodonetsk CHPP for privatization. The announcements were published in the Vidomosti Pryvatyzatsii newspaper. The tenders will be held in two stages. The first stage is to complete on September 7. The second stage of the tenders to select investment advisors for Azovmash (50% shares), Kherson combined heat and power plant (99.8328% of the share capital), Dniprovska CHPP (99.9277%), Kryvy Rih CHPP and Severodonetsk CHPP will take place on September 17. The second stage of the tender to select investment advisors for Sumykhimprom (99.9952%), Oriana (99.9988%) and Ukragroleasing (100%) will take place on September 18, 2018. 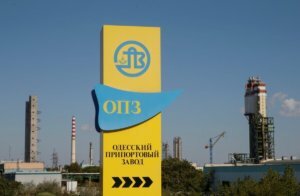 A number of companies have applied for tenders called by the State Property Fund (SPF) of Ukraine to select advisors for the privatization of insulin producer Indar, President Hotel and Odesa Port-Side Chemical Plant with July 20 set as the deadline for applications, an informed source in the government has told Interfax-Ukraine. “There are applications, and there are many of them,” the source said without giving details. The SPF’s press service told Interfax-Ukraine that it was not authorized to disclose details at the current stage, advising waiting for the results of the tenders. As was reported, the SPF late in June called tenders to hire advisers to sell 100% of Kyiv-based PJSC United Mining and Chemical Company (UMCC), 70.7016% of PrJSC Indar, 100% of PrJSC President Hotel (all three are based in Kyiv), and two wholly state-owned enterprises: Krasnolymanska Coal Mining Company in the town of Rodynske, Donetsk region, and Kharkiv-based Electrotyazhmash Plant (ETM), as well as 99.5667% of PJSC Odesa Port-Side Chemical Plant (OPZ) in Odesa region. The deadline for Indar, President Hotel and OPZ is July 20 inclusively. 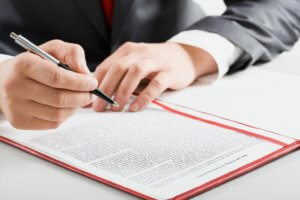 The first stages of the tenders are scheduled for July 26, and the second stages for July 30. In case of UMCC and ETM, the deadline for applications is July 23, and tenders will be held in two stages: on July 27 and on July 31. Ukraine on July 12 met with representatives from the ‘big four’ auditors, namely Ernst&Young, Deloitte, PwC, KPMG, as well as Morgan Stanley, Rothschild, ICU, Concorde Capital, Dragon Capital to present details of tenders to select advisers on large-scale privatization,. The adviser’s tasks include an analysis of the economic, technical and financial performance of an enterprise; bringing the main indicators of its financial statements in line with international accounting standards; carrying out audits (financial, environmental and others), implementation of due diligence and a SWOT analysis of the assets, including assessment of the competitive positions in Ukraine and international markets. Ukraine’s State Property Fund (SPF) has called first six tenders to hire a privatization adviser to prepare the sale of six out of 22 enterprises approved by the Ukrainian government for privatization this year. In particular, tenders were called to hire advisers to sell 99.5667% of PJSC Odesa Port-Side Chemical Plant (OPZ) in Odesa region and 100% of Kyiv-based PJSC United Mining and Chemical Company (UMCC), the SPF said in announcements in the Vidomosti Pryvatyzatsii privatization bulletin on Monday. Other four tenders will be called for advisers to sell 70.7016% of PrJSC Indar and 100% of PrJSC President Hotel (both are based in Kyiv), and two wholly state-owned enterprises: Krasnolymanska Coal Mining Company in the town of Rodynske, Donetsk region, and Kharkiv-based Electrotyazhmash Plant (ETM). Applicants for UMCC, Krasnolymanska and ETM are to send their bids before July 23. The tenders will be held in two phases: on July 27 and July 31. In all cases, the fixed sum of an adviser’s fee is set at no more than 0.5% of an enterprise’s state-owned assets. 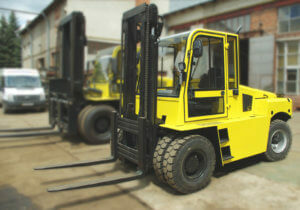 In case of the sale of an asset, the size of the variable part is up to 2% of the value of the sold asset, it said. As was reported, Ukraine’s Cabinet late in May 2018 published a list of large-sized enterprises subject to privatization this year. It includes 23 enterprises: five regional power distribution companies, Centrenergo, Turboatom, Zaporizhia Titanium and Magnesium Combine (ZTMC), and Sumykhimprom. Only an adviser on Centrenergo has been selected as of now. It is Ernst&Young, which on June 19 submitted its status report.